Today, for any business, whether large or small, it is essential to have a fully functional website. It is a reliable website that enables a business to reach a wider audience and generate more prospects. In order to generate more profit, or as a matter of fact, just to survive in today’s cutthroat competition, it is crucial for a business to have a website. When it comes to getting a website developed, a business has a lot of options. One among those is PHP development. Below are three points worth considering why a business should opt for PHP website development rather than any other website development options. When it comes to getting a good website developed, any business, being rational, will think about affordability. PHP web development, believe it, is very affordable than any other web development options. It is the most cost-effective option for developing dynamic, fully functional websites. Getting resources, the website developers, too is also affordable. It is amazing to find a plethora of PHP developers today. Businesses today can find and hire PHP developers in their locality easily just by performing a simple internet search. Of course, a little research about the experience and competency of the developers is necessary. Gone are the days of static websites. Today, it is the age of dynamic and interactive websites. PHP programming language has the capability to create incredibly dynamic websites. In order to create dynamic web pages, server-side scripting is necessary. Fortunately, PHP is a server-side scripting language, which allows the creation of dynamic web pages easily. Having a dynamic and interactive website allures the web visitors and makes them stay on the website for a longer period. The longer the web visitors stay on the website the better are the chances of them to be converted into prospects. A business is always growing or progressing, and thus its website should also be updated with the latest information, reflecting the growth or progress. Every time hiring a developer to update the latest information on the website is not affordable. For such instances, a CMS (content management system) is very useful. The system allows the website owner easily manage the contents of the website. No special technical skills are required as the system is very easy to understand and use. 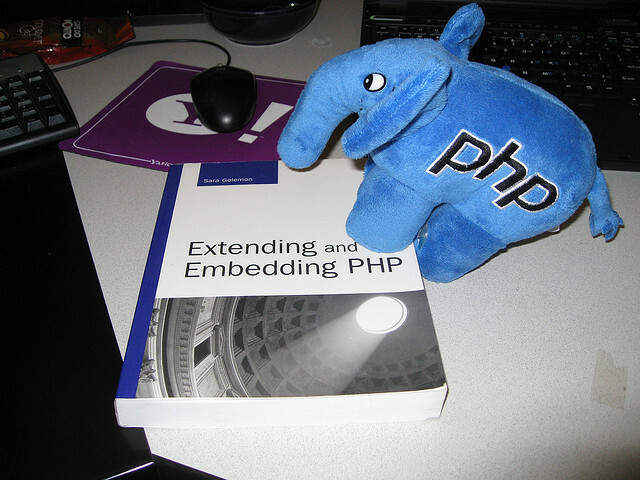 With PHP, integration of powerful content management systems is possible. In fact, the most popular content management systems like WordPress, Drupal, and Joomla were developed using PHP. Therefore, for a new website or even an existing website, if CMS is required, then PHP is capable to integrate it. Aside from these, a business can avail many other benefits by choosing PHP development. If a business wants customized website solution, then it should certainly consult a PHP programmer. PHP programmer will understand the precise needs and design a website solution that will be fruit bearing for a business. Alex Franklin is an expert writer, associated with Webstralia- IT Solutions - A Software Development, Web Design and web development Company in Sydney, Australia. He enjoys to write technology related articles like SEO, web Design & development, mobile apps and many more.